The marriage of technical expertise and creative sensibilities is a unique combination in the design industry, and one that Christine brings to the Tracy Lynn Studio team. Christine loves a home to tell a story and to provide a calming, warm environment through well thought out selections to reflect the client’s style. With each choice, Christine takes a methodical and intentional approach to design, in order to construct the most thoughtful and rewarding spaces. 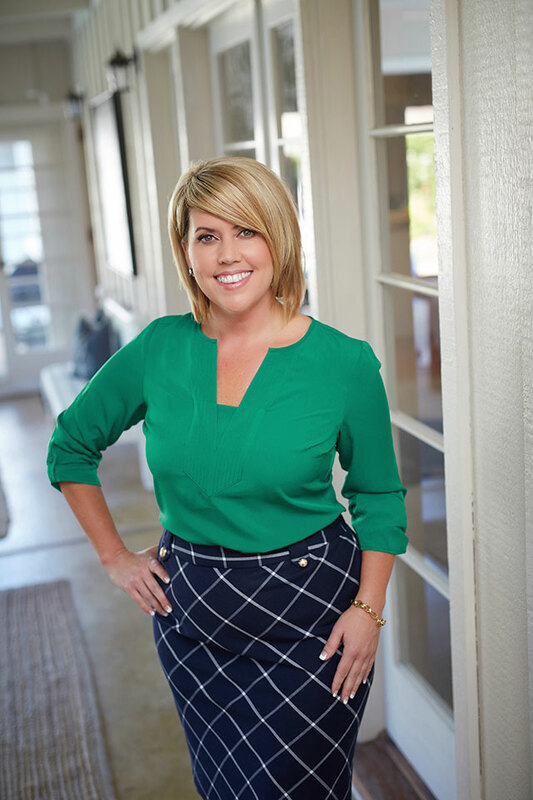 With hundreds of projects under her belt, Christine draws upon her expertise from her own home remodels as well as from attending the Design Institute of San Diego to create a strong comfort level with clients, vendors and contractors. Christine manages many of the Studio’s larger projects with an ability to not only conceptually design a home, but to expertly manage the implementation of those concepts. Christine is not only a designer but also the Director of Creative Design for the Studio. She serves as the Studio’s in-house resource encyclopedia and researcher; making her responsible for locating new sources of design inspiration as well as vendors, in order to ensure that the Studio is in continually fueled by the latest innovations and trends. In this role, Christine combines her passion for design with her natural inclination to find inspiration through collaborating with her “amazing fellow designers,” social media, trips to High Point Market (the design industry’s largest tradeshow), and perusing magazines. This results in an endless surplus of design inspiration and that is thrilling to Christine as she hopes to be a source of creativity for the entire Studio. When not curating fabulous spaces for her clients and keeping up with the latest trends, Christine enjoys spending time with her wonderful husband and two bonus children. With a large group of family and friends, they often embark on weekend outings including walks on the beach, and attending sporting events, concerts and comedy shows. Christine acts like a tourist in her own city; every day in San Diego is a new adventure. “Christine, I wanted you to know how delighted we are with all of the selections you and Carmen helped us make for the kitchen and bath remodel. The end result is incredible beyond imagination! I’m so glad we had the good sense to seek your counsel on materials. The quartz countertops and stone/glass backsplash are amazing. Thank you again.